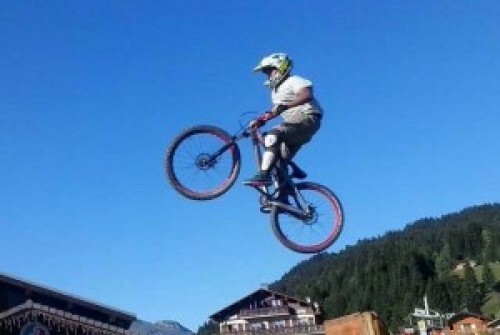 I have really enjoyed myself in the pump park and using the air bag in Les Gets this summer – with my new mountain bike. The pump park is not only a great way to practice skills, but is also really good for socialising with other English kids of my age (11 years ). In the daytime, most kids are out on the mountains, but in the evenings, the lifts are closed so most kids go to the pump park and this is a great place to make friends. One of the good things about the pump park is that it is free, but never seems to be too busy. We now have a very strong team at Chalet Hastings for the summer – Morven is running operations on site, Ben will be spending the summer doing a lot of the much needed jobs – gardening, painting and the many other maintenance jobs needed. 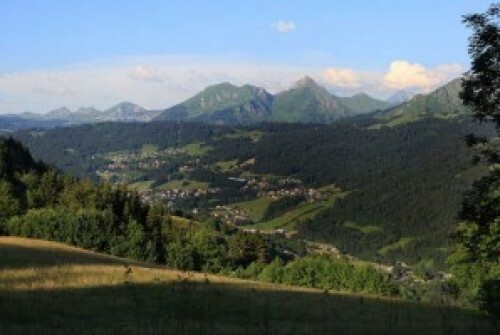 In addition, Morven's mother Sharon is spending the summer in Les Gets, as she will be helping during the ski season and this seemed an ideal opportunity for her to gain an understanding of the operation before the high pressure of the winter season, Mani, Morven's brother is also in Les Gets for the summer – with his new bike – with the plan of becoming expert at downhilling. 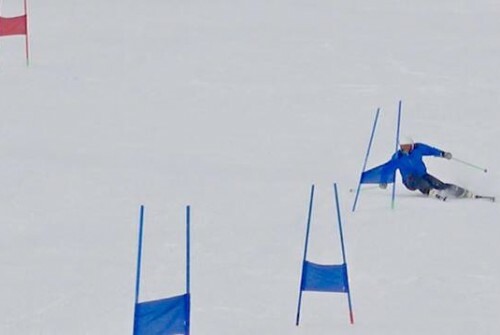 I have just come back from two weeks training, on the glacier at Les Deux Alpes, for the Test Technique and the infamous Euro Speed Test. 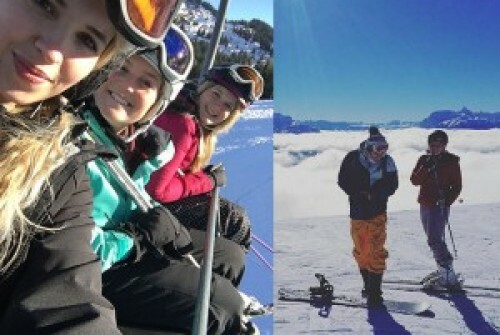 To teach in France requires the highest qualifications in the world for a ski instructor, the Euro Test is well known as being very hard to pass, however, the Test Technique is a lower level and, if you pass this, and have BASI 2, you are allowed to work as a Stagaiare for ESF for up to 5 years. Only three or four weeks ago there was still snow in the ground, last week temperatures rocketed to around 30 degrees Celsius – hopefully we will have a good summer. Sue, Ben and Morven have been working hard preparing for the start of the summer season. They have also had help from Simon and Raf who have been doing building works, gardening and painting. 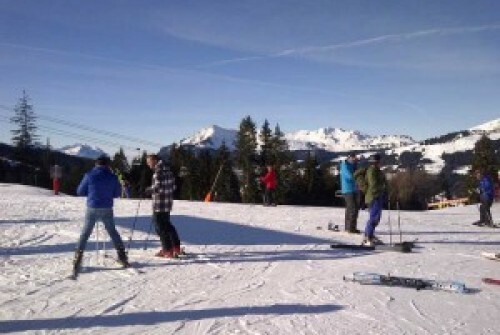 Planning for Summer in Les Gets? 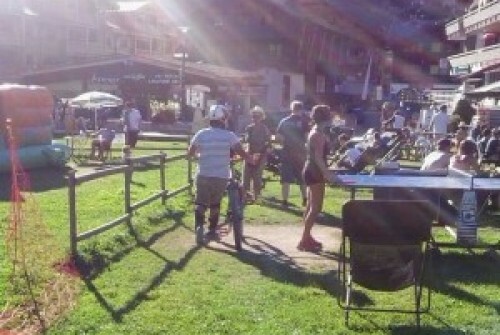 We first visited Les Gets in the summer, for a mountain biking holiday. We had mountain biked in most areas in the UK, we have also been to the Rockies, it was clear that Les Gets is by far the best location in the world, there is a fantastic range of beautiful routes right on your door step, there are real mountains and traditional villages. No where else in the world has all this. Conditions last weekend in les Gets can only be described as fantastic. On Saturday, it was beautiful, clear skys, recent snow, temperature probably around minus 1 or minus 2, excellent snow on the pistes and not crowded at all. A Wonderful Week in Les Gets! 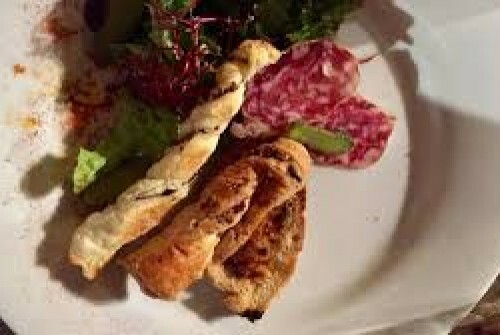 We visited Les Gets in January and stayed in the Le Laype catered chalet. We had a fantastic holiday and were extremely well looked after by the whole Chalets 1066 team all week! 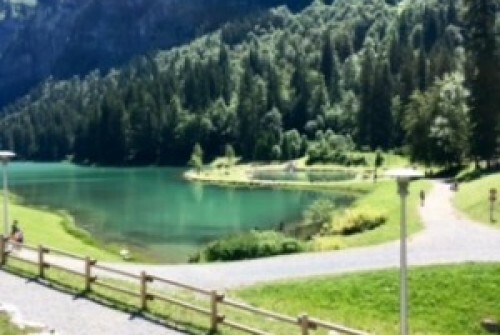 We booked our airport transfers through Chalets 1066 and our driver, Andy, was there waiting for us at the airport and took us to our chalet. When we arrived, Laurie, our chalet host, was there to greet us and show us around the chalet, which was lovely. Everything we needed was there, it all felt clean and fresh, and it was all made warm and cosy with a log fire, with a brilliant view of the mountains. 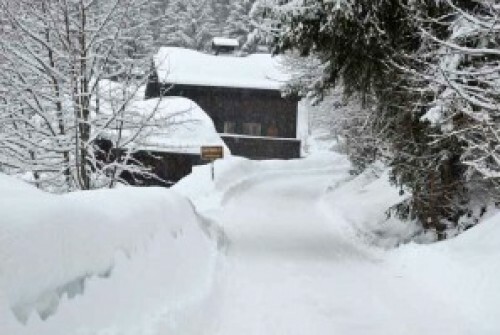 We had a warm welcome when we arrived at the chalet La Lapye. That evening we used a bus about 30 meters from the chalet to go down to the village and collect our passes. Our rental skiing gear was also already in the chalet waiting to be tried on. Ski mobile then phoned to take any details about how well things fitted. They returned first thing in the morning to fit us with helmets and to bring other boot sizes. In the evening we had a lovely dinner and got to know the other guests. 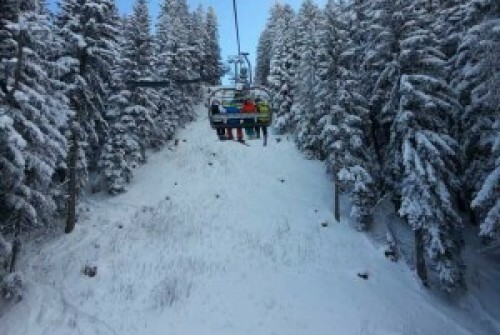 Some of the hardier families will be fifteen minutes early for the first lift up in the morning, whatever the weather. Hours of intense skiing follow. The piste map was carefully studied the night before, and is now covered in biro, solved like a dot-to-dot problem. It guides the group across the mountains, ticking off run after run. The operation has militaristic efficiency. Come midday, the group is tired. They might take shelter with pre-packed baguettes and thermos flask. And the weaker among them might look longingly at another family below them. This family is heading into a restaurant, ready, after a leisurely ski, to soak themselves for an hour in espressos, vins chaud, pressions, and frites with mustard mayonnaise. 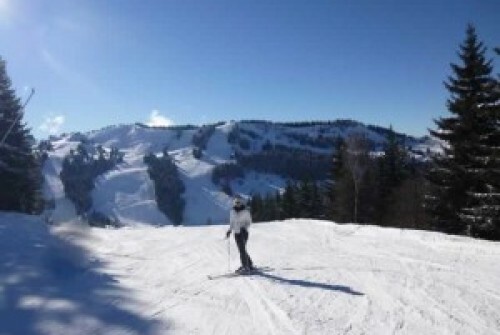 I'm just back from a brilliant week in Les Gets, days of stunning blue sky and sunshine. The snow was good, a little bit icy at times but more is forecast later this week so looks set for a good season. I just love the sense of peace and tranquillity I get when I visit the mountains, especially when I settle down on the chair lift, it whooshes up and there's suddenly a wonderful quietness. The thrill of the mountains never fails to impress me. While the Chavannes side of Les Gets is busy, today I spent a couple of hours on Mont Chery and there were no queues at the lifts at all. When you get to the top of the 'bubble' lifts going up Mont Chery, there is a telescope and amazing views over Les Gets village.